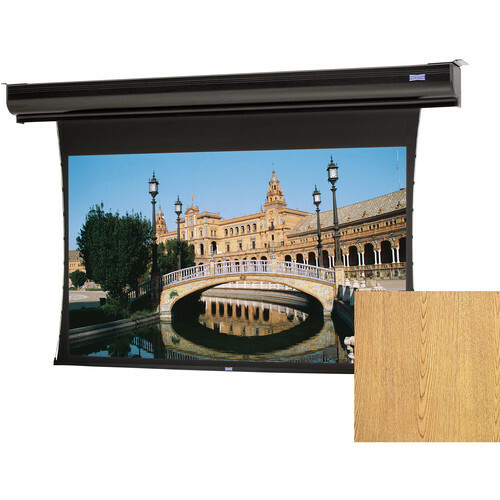 The 220V 21867ELMLOV Tensioned Contour Electrol 100 x 160" Motorized Screen from Da-Lite supports ceiling or wall mounting. Tensioned screens ensure the smoothest surface possible. An added circuit board that allows for opening or closing the screen with wired or wireless communication.